Spring time means flowers, showers and baby squirrels! Now that the weather is warming up you are likely to see squirrels around your yard looking for a place to build their nest to have babies. Since you’re bound to encounter this, it’s a good idea to know exactly what you are dealing with. If you're in Burlington, Oakville, Milton, Hamilton or surrounding areas contact us today to both prevent squirrel entry into your home, or remove them and their babies - humanely! When is baby squirrel season? Squirrels mate twice a year: in January and February, and in June and July. This means that 1.5 months later, in March/April and August/September you should keep your eye out for baby squirrels running around your yard. What are the characteristics of baby squirrels? A brand-new baby squirrel is about an inch long and is born completely deaf and blind. There are typically 2 to 8 babies per litter, and they remain in their nest until they are at least 6 weeks old. Once they are developed enough to head out on their own they will spend several weeks learning survival skills from their mother. Are baby squirrels as noisy as adult squirrels? 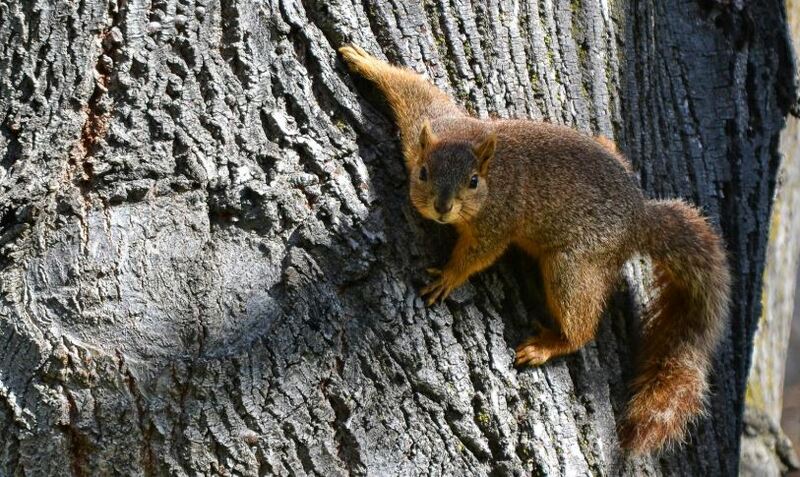 You may be familiar with the chirps and barks of adult squirrels. If you’ve ever had a squirrel in your home, you know they are anything but quiet. Baby squirrels are quieter than adults but they do still make noise. Their chirps sound almost like those from a young bird so you may have even heard them without realizing. Since squirrel babies don’t leave their nests until they are 2-3 months old, you don’t want to let an adult squirrel get comfortable in your home during baby season. Unfortunately, your home-particularly your attic- present a very appealing place to create a den. Since your attic is dark, hidden and away from predators it’s a great place for a squirrel den. Taking measures to prevent their entrance is the best way to keep them out. In addition to being noisy houseguests, squirrels are very destructive and dirty. Squirrels are always chewing on things to keep their teeth sharp, and thanks to this they can damage your walls, insulation, wiring, roof and anything else they can get into. As badly as you want to rid your home of squirrels, you can’t just seal up the entrance holes and prevent them from entering. Since we are now in squirrel baby season you never know if there’s a nest full of babies inside your home. If you suspect a squirrel has entered your nest and possibly made a nest contact a professional pest removal company to ensure you don’t trap a whole family inside! A professional will help evaluate your home and determine if a nest has been made in your home, and can make recommendations for how to proceed.